Meeting on the development of civil aircraft engineering. 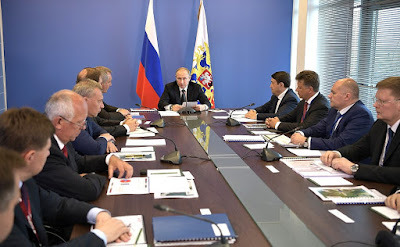 Putin.BLOG Industry Meeting on the development of civil aircraft engineering. For such a vast country as Russia with its, let’s be honest, poorly developed infrastructure, which has proved difficult to improve even during all the previous years of its history, considering the limitless expanses of Eastern Siberia and the Far East. However, it is vital to use modern technology to consolidate the country and make every corner equally accessible to every person regardless of his or her place of residence. People should be able to move easily and freely throughout the country, travel to our major industrial and cultural centers and return in the same easy and free way. I would like to note that the industry is currently receiving substantial support. Last year alone, almost 52 billion rubles were allocated for these purposes under the Aviation Industry Development program, and there are plans to allocate 60 billion in 2017. 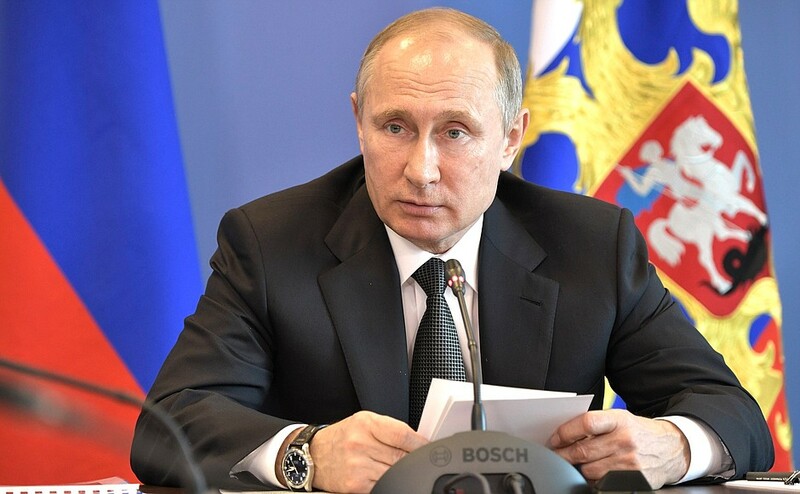 Vladimir Putin at the meeting on the development of civil aircraft engineering. Second, as you know, the United Instrument Manufacturing Corporation is expected to diversify and expand civil output. This also concerns the defense industry’s aircraft enterprises. Helicopter deliveries under defense procurement contracts will soon peak. The Defense Ministry has already reduced its orders under these contracts. It is high time that we ponder ways to guarantee that the production capacities are utilized by creating demand from civilian customers. This should be done without delay. Among other things, Russian oil and gas companies, and other state-owned companies could play their part. They buy quite a few helicopters abroad. I believe that this has to change, as we have discussed with the heads of Russian companies. They should opt for Russian equipment, of course on the condition that it offers the same level or even better quality compared to similar imports. I think that this matter should be included in the agenda of the Government Import Substitution Commission. Moving on, I would like to emphasize once again our intention to expand the market share of Russian aviation equipment on the domestic and international markets. For that, it is essential not only to improve its quality and reliability, but also to develop after-sales maintenance services. By the way this is also an issue for the defense industry: we need warehouses, spare parts, training, and we need to open service centers. We all know that those who are able to ensure after-sales maintenance, guarantee timely repairs and promptly deliver parts stay on top of the competition. Today we will discuss how this work is organized, and what is there to do for ensuring effective maintenance of Russian aircraft. 0 Comment to "Meeting on the development of civil aircraft engineering."